In a letter to Minister of State in Prime Minister's Office, Hazare accused the NDA government of making excuses to avoid appointment of Lokpal at the Centre and Lokayuktas in states. 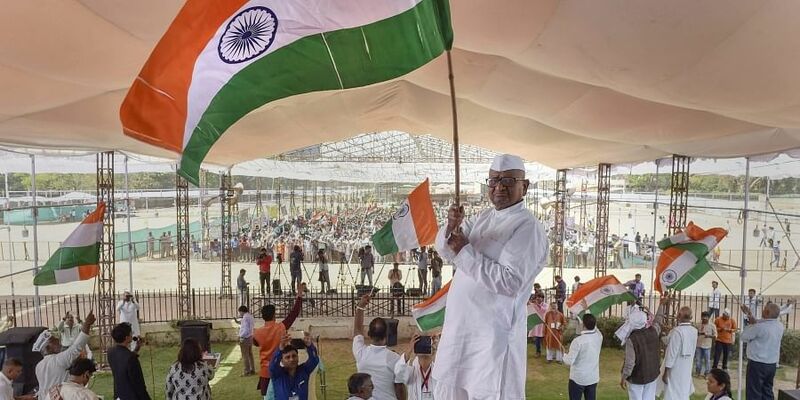 MUMBAI: Social activist Anna Hazare said Saturday that he will launch a hunger strike from January 30 next year at his village if the anti-corruption ombudsman Lokpal is not appointed. In a letter to Minister of State in Prime Minister's Office (PMO) Jitendra Singh, Hazare accused the NDA government of making excuses to avoid appointment of Lokpal at the Centre and Lokayuktas in states. The Narendra Modi government first said that Lokpal could not be appointed as there was no Leader of Opposition in the Lok Sabha (who is to be part of the selection process) and later it said there was no eminent jurist in the selection committee, Hazare said. He sat on a fast at Ramlila Maidan in Delhi on March 23 this year but called it off later when the PMO gave a written assurance that his demand would be fulfilled, he said. He then set a deadline of October 2, Hazare said. "On October 2, my agitation was to start from my village Ralegan Siddhi, but Maharashtra chief minister and other ministers again assured me that the appointment of Lokpal and Lokayuktas was in a final stage. I decided to give one more chance and wait till January 30," he wrote. "It is obvious that the present government does not have the intention to appoint Lokpal and Lokayuktas," he alleged.